simple sandwiches for under $5! Makes 4 sandwiches. In a bowl, gently mix the eggs, mayonnaise, onion, salt, mustard powder, garlic powder, pepper, and dill. Make sure not to break down the egg mixture too much. 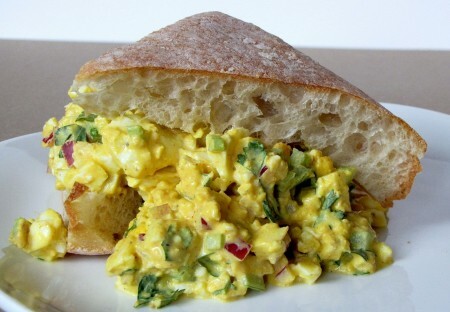 Spread egg mixture on top of toasted bread.